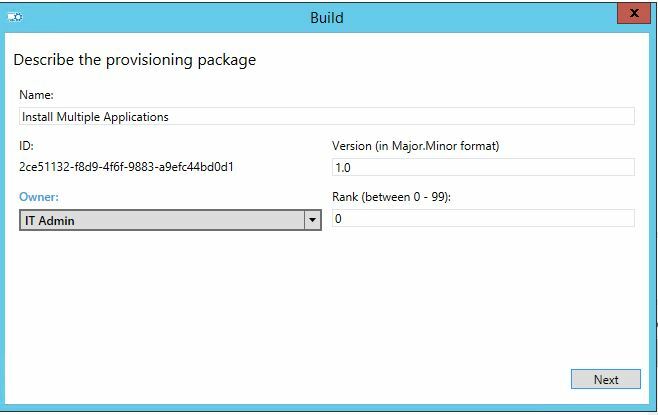 In the last part we talked about adding a single application within a provisioning package. 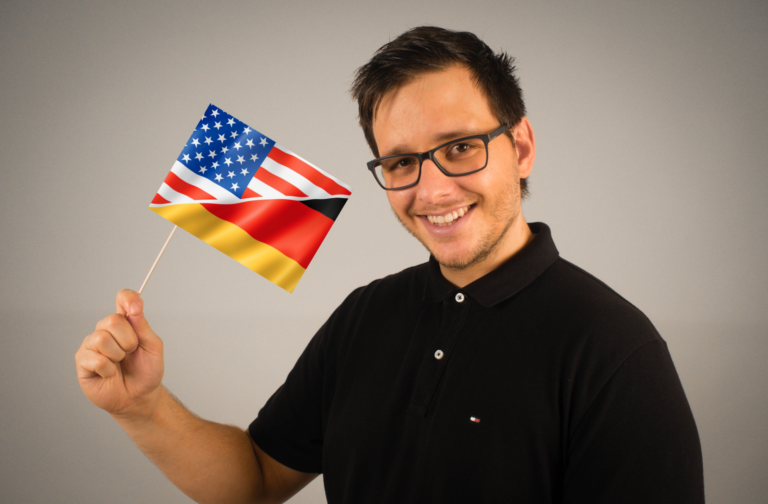 As this is not sufficient in many cases, I recently had to figure out a way to add more than one application within this procedure. 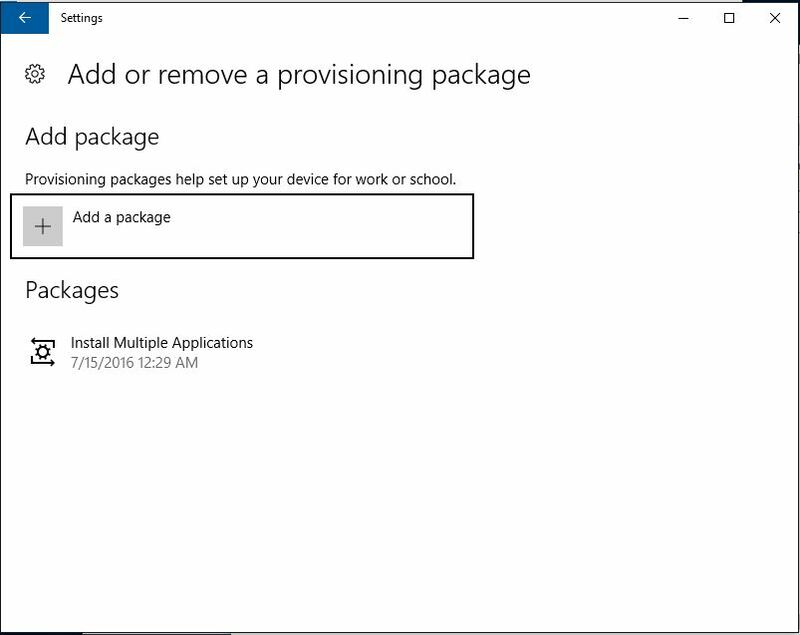 Alright now – we need to create a batch file which installs the applications within the provisioning package. 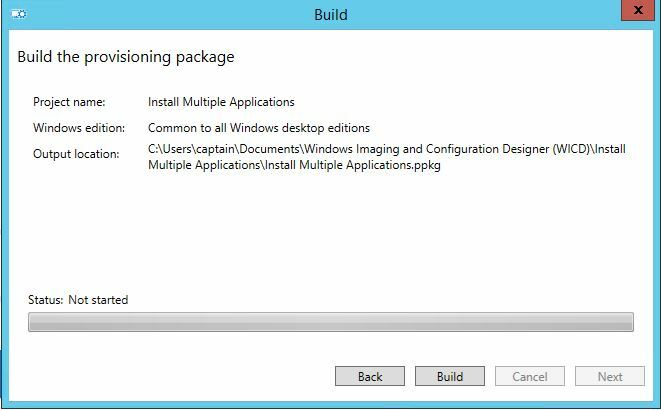 Below you will find an example of how you can install multiple applications using a batch file. In my example I install Google Chrome for Business because it’s an MSI and Citrix Receiver as an EXE File.  IF NOT EXIST "C:\Temp\ApplicationLogs" MD "C:\Temp\ApplicationLogs"
I changed the Owner to “IT Admin”. In the next step you can encrypt and sign the package. Remember: if you do not encrypt the package it can easily be unzipped with tools like 7zip. So if you store sensitive information in it always encrypt the packages. Review the settings and then build the package. You will get your *.ppkg File with which you can install the applications. 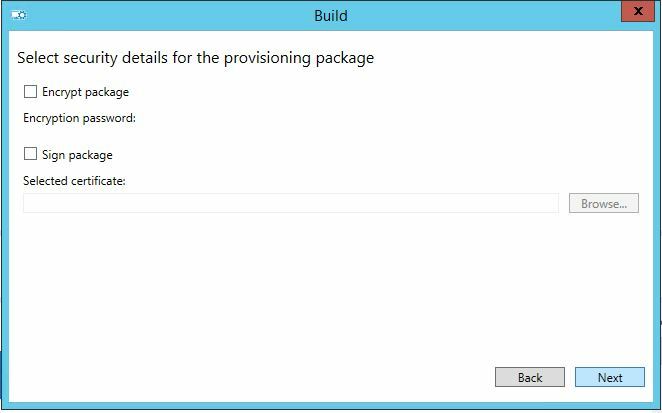 If you are testing the provisioning packages don’t forget to delete them after you launched them or change the version number. 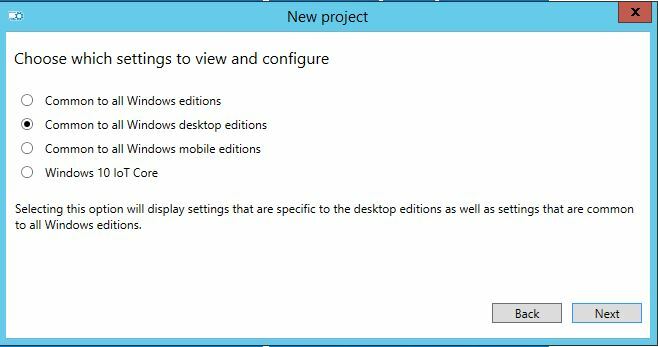 In the next part I will show you have to do above by PowerShell and how you can remove build in apps. 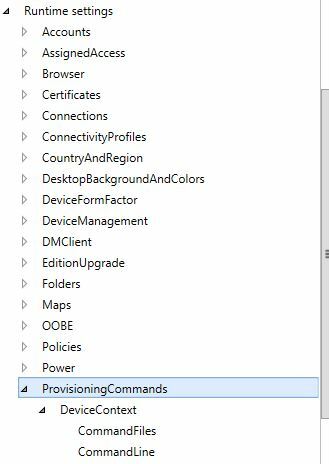 I’d really like to see part 6 of your series (Part 6: Windows 10 – Provisioning Packages – Install and Remove Applications and Apps by PowerShell). When do you think you’ll publish it?